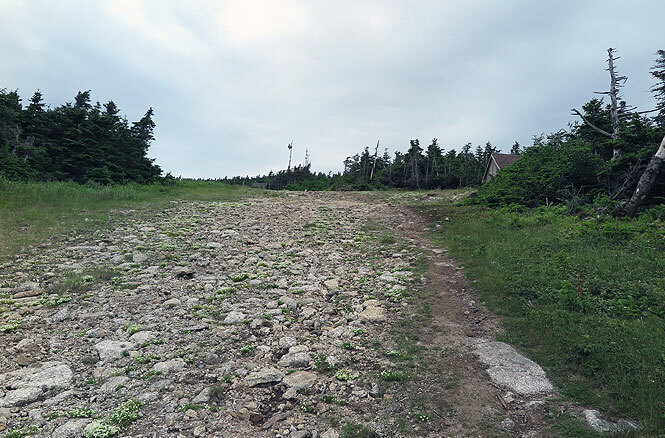 When it comes to hiking Saddleback Mountain in Rangeley, Maine, the shortest path between two points—the parking lot and the summit—is a ski resort. 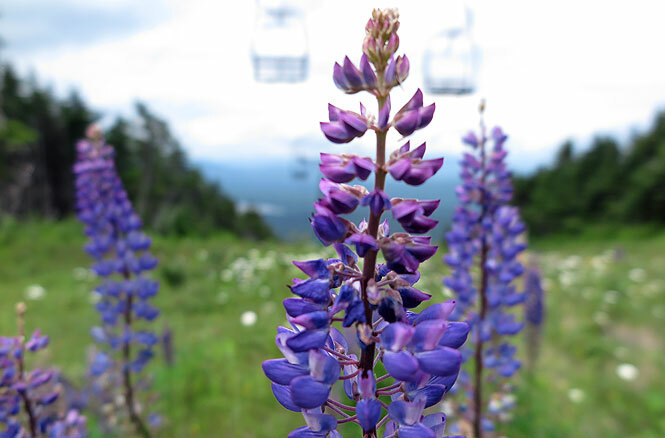 The two-mile hike from Saddleback Maine trades the soothing cool of a forested trail for the steep and sunbaked ski trails. 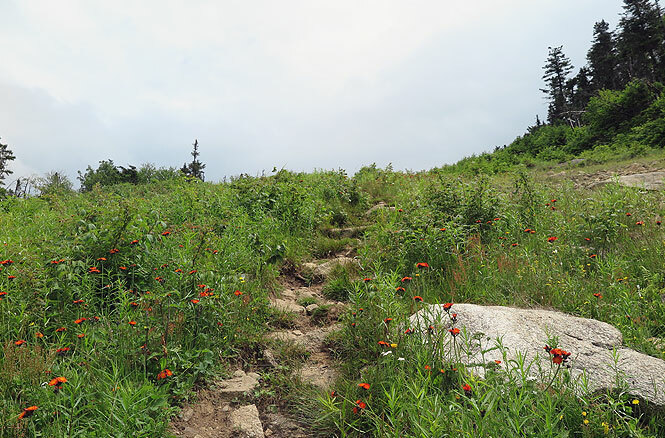 While I prefer to hike Saddleback via the Berry Picker’s Trail or the Appalachian Trail, this route, rich with wildflowers and views, serves a purpose for anyone on a shorter timeframe. 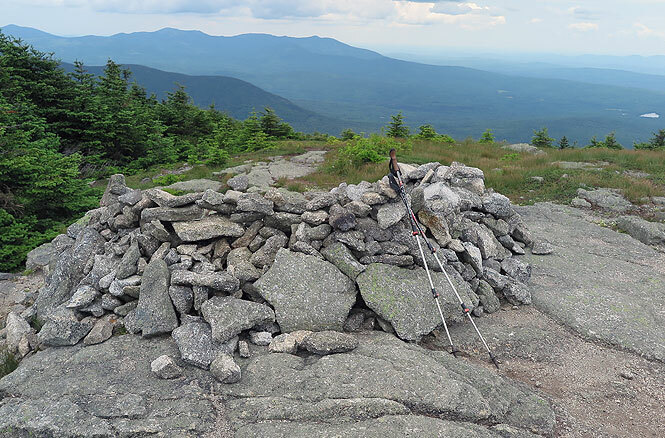 Distance: 2 miles to the Saddleback Mountain summit, elevation 4,120 feet; 3.5 miles to The Horn summit, elevation 4,041 feet. 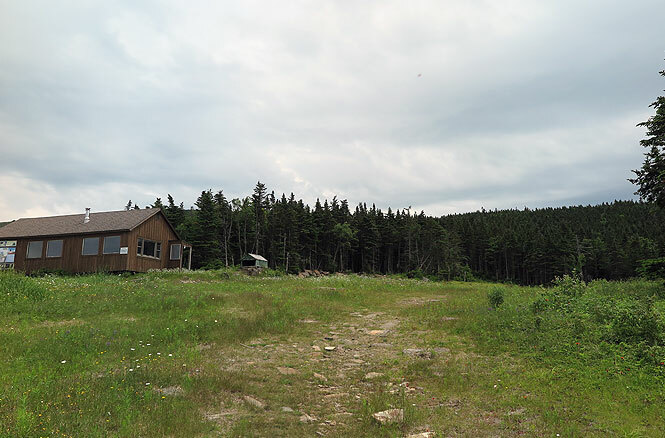 The hike begins on the mountain side of the Saddleback Maine base lodge. Simply park in the lot and walk around the building; the well-worn path is impossible to miss. 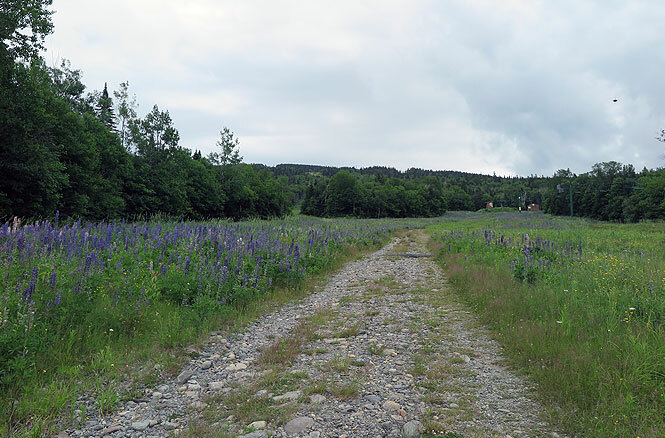 The trail joins a service road for a short distance before exiting on the left through a lupin field. 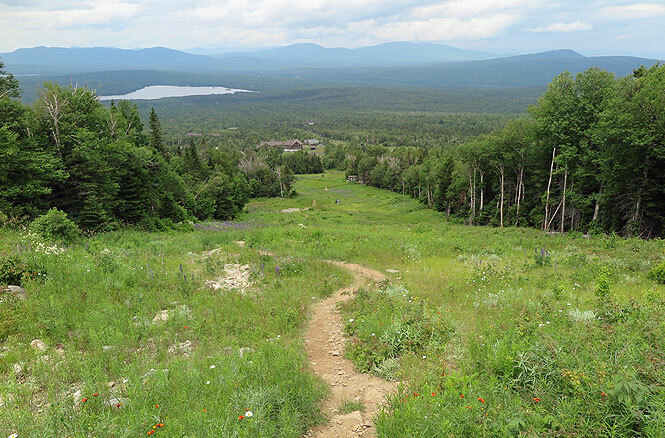 One benefit of the ski area hike is ample views of the Rangeley Lakes Region throughout. 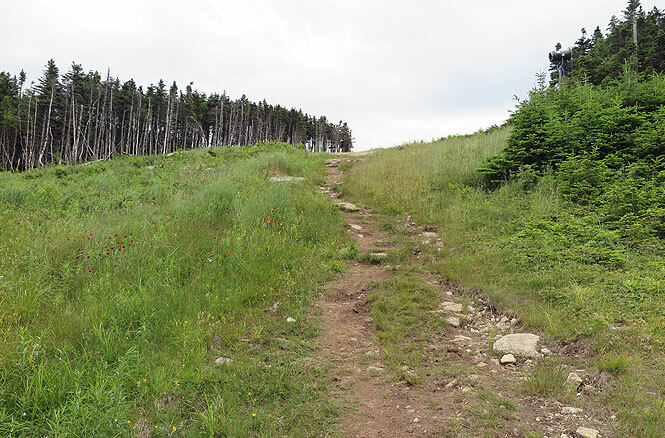 Yes, this hike is shorter than the other routes, but those ski-trail headwalls are steep in the summer, too. Vacationers who don’t frequently hike should be prepared for a more strenuous trek than what you might be anticipating. Be sure to pack ample water and sunscreen. More of the steep stuff. The hike continues past a building for one more leg up the mountain. The hike continues up the skiway to a second building, behind which the trail enters the stunted spruce trees for a short distance. 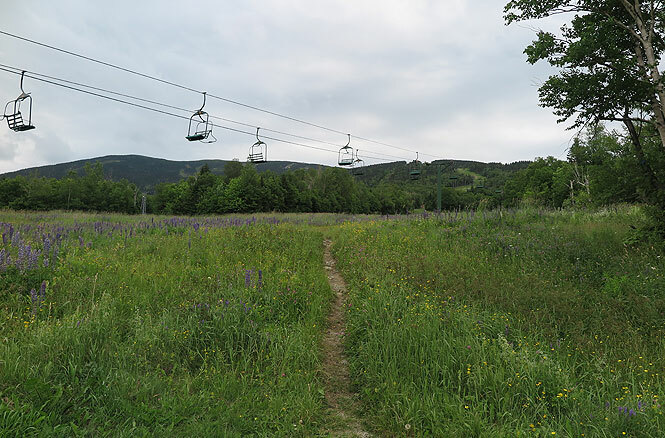 The trail soon emerges into the open and intersects with the Appalachian Trail. 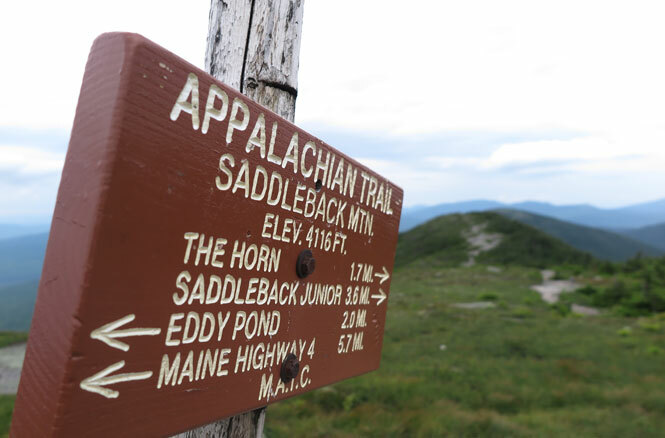 Turn left onto the AT for an easy stroll to the Saddleback Mountain summit, elevation 4,116 feet. 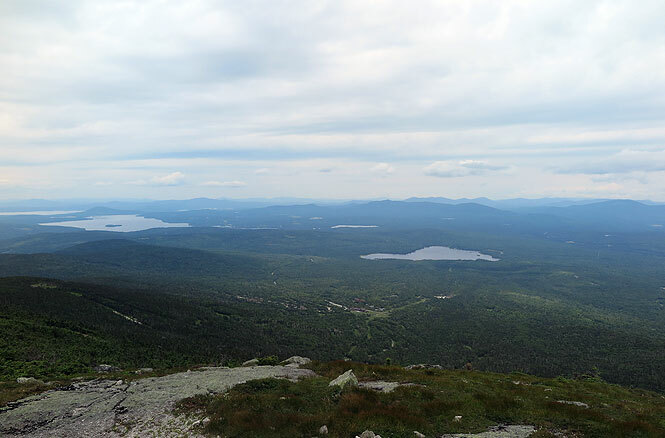 Looking down upon the Rangeley Lakes Region from the summit. 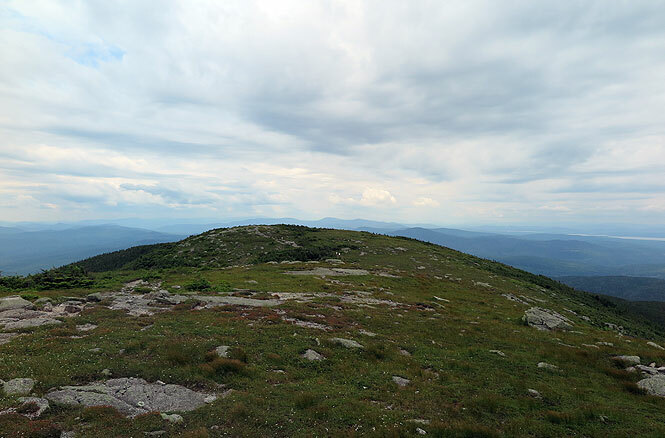 From the Saddleback Summit, it is 1.7 miles across the mostly open ridgeline to The Horn, elevation 4,041. There’s approximately 500 feet of elevation loss descending to the col between the two peaks with 600 feet of elevation gain climbing The Horn. You’ll also encounter some small ledges and rock scrambling each way. See our Appalachian Trail post for more. The closest thing you’ll find to shelter on Saddleback. Remember to pack layers and sunscreen to be prepared for whatever the summit conditions have in store.